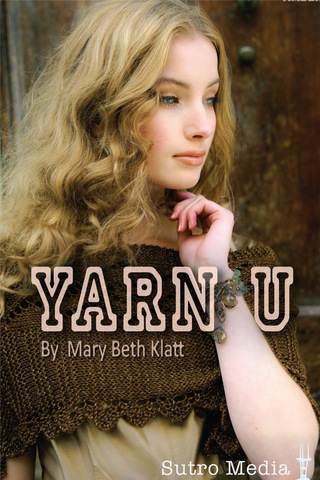 Recently I was asked if I would download and review the Yarn U app for the iPhone. I've been playing with it for the past several days and overall I like it. The app supplies you with all you need to know about thousands of yarns: pictures, manufacturer, weight, fiber content, suggested needle size, yardage, free patterns or suggested patterns available as well as the pros and cons of each yarn. There is the option to make comments about the yarn or to contact the app designer, Mary Beth Klatt, and yes, she does reply - a very good thing. I have one complaint. When I first opened the app I was asked if my location could be used and I said 'yes'. There are maps to show you the closest place to find the yarn. I couldn't find a location for any yarn that was closer than 420 miles, that being Sweet Georgia Yarns in Vancouver, B.C. I know there are yarn stores right here in Calgary that carries some of the yarns listed in the app. I did a search for Cascade 220, a good, basic worsted, but nothing came up (unless it's operator error!). A further search with different key words did turn up some Cascade yarns: superwash or sport types, but not the basic 220. 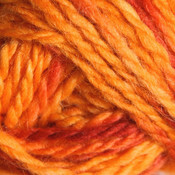 I'd like to see more yarns added, especially basic ones. For the superwash I see that the closest yarn store is 850 miles away in Reno, NV, at Jimmy Beans (often referred to) but I have seen it in a shop in Calgary. All in all it's a good start and expect that there will be further updates in the future. I understand that updates are free. The app costs $2.99 from the iTunes store, more than I usually spend on an app for my iPhone. What I didn't check out is if there are discontinued yarns included in the database, which I would like, especially the older Rowan yarns. It would be helpful when trying to follow an old pattern and substituting yarns that are now in the market. I'm happy to have it and it will be well-used. It's a good database of the yarns available today, an excellent start. It's easy to use and fun to scroll through all the pictures - lots of temptations. Thank you to Mary Beth for the app and the opportunity to review your app.